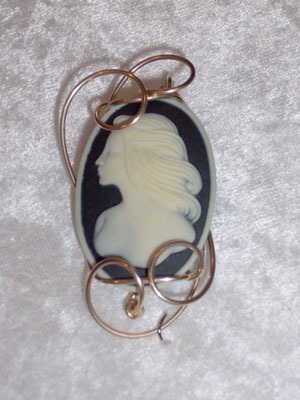 Fashion resin cameo of beautiful young woman with flowing hair. Sculpted in 14kt rolled gold. Measures 2.25" x 1"